The Loro Piana Superyacht Regatta 2017 in Porto Cervo, Sardinia proved a happy hunting ground for the owners and crew of Saudade and Magic Carpet 3. 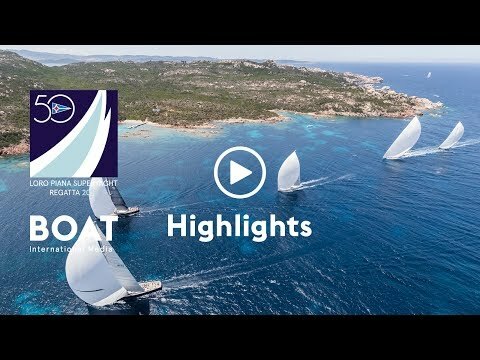 The yachts topped the Superyacht and Wally classes respectively at the tenth edition of this popular Mediterranean showcase event, presented by Italian fine clothing brand Loro Piana and co-organised by the Yacht Club Costa Smeralda and Boat International Media. For owner Albert Buell and the crew of the successful 45 metre Wally 143 Saudade it completed a remarkable series of three back-to-back Loro Piana wins on the Costa Smeralda. For Sir Lindsay Owen-Jones, Magic Carpet 3’s victory in the highly competitive ten-boat Wally class not only reflected his team’s consistent sailing but further endorsed the winter optimisations made to improve the performance of the Wallycento, which had not won a major regatta for a couple of years. The Superyacht fleet was relatively small but not short on interest or competition. The brand new 33 metre Malcolm McKeon-designedRibelle impressed on her debut with Francesco de Angelis and Luis Doreste as helmsman and tactician. But with only days of tuning and training time Ribelle had to settle for second behind Saudade, which had Bouwe Bekking serving as the winning tactician for the second year, some 26 years after he first sailed with Buell in the heyday of the IOR One Tonners. 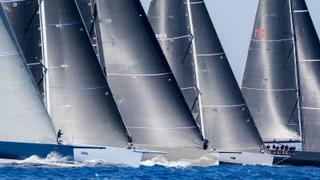 Pier Luigi Loro Piana’s first fully prepared regatta with the new 40 metre My Song, a Nauta Design/Reichel-Pugh collaboration, showed flashes of great speed but the ebullient host and lead sponsor could not break into the prize list this time. The ten-boat Wally fleet featured a big gun trio of Wallycentos Magic Carpet 3, Galateia and the extended 107 Open Season, as well as a posse of 77 to 80 footers, which enjoyed the most intense and competitive racing of the regatta, often battling it out boat for boat all the way to the finish line. However, with Volvo Ocean Race winner Ian Walker calling tactics, Magic Carpet 3 finished with two race wins to hold off Galateia. Of course, even for those who didn’t top the leaderboard, there was much celebration to be enjoyed onshore with a full programme of social events throughout the regatta. The first evening saw old friends (and regatta rivals) catch-up over welcome drinks at the Yacht Club Costa Smeralda, while day two heralded the much-anticipated Loro Piana Owners Dinner. VIP guests were treated to a sumptuous meal by chef Carlo Cracco and live entertainment from Mario Biondi. A more casual evening saw Y3K take home the cocktail competition trophy on day three before the end of another brilliant regatta was celebrated by owners, guests and crew alike at the Sunset Party at Phi Beach. For in depth race reports, the best pictures and more information about the 2017 Loro Piana Superyacht Regatta click here.